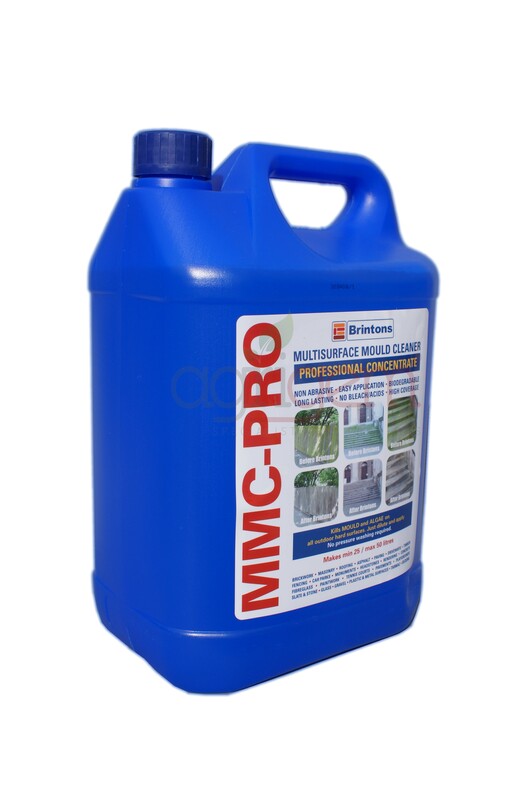 MMC® Pro is the easiest and most effective way to treat and prevent mould, algae and grime on all hard surfaces. There is no need to scrub or pressure wash, just dilute and apply. This product typically works in 2-4 days (depending on weather), it then continues to prevent re-growth for the following weeks & months. It is compatible with weed killers such as glyphosate & is also very safe to use as it is readily biodegradable and contains no bleach or acids. Active Ingredient – Didecyldimethyl-ammonium chloride Propan 2-olAlcohols. Knapsack Rate – 1L per 4L of water (Strong) or 1L per 9L of water (weak). Boom Sprayer Rate – 10L per 40L of water (strong) or 10L per 90L of water (weak). Area Covered – 175m2 - 350m2 depending on dose rate.